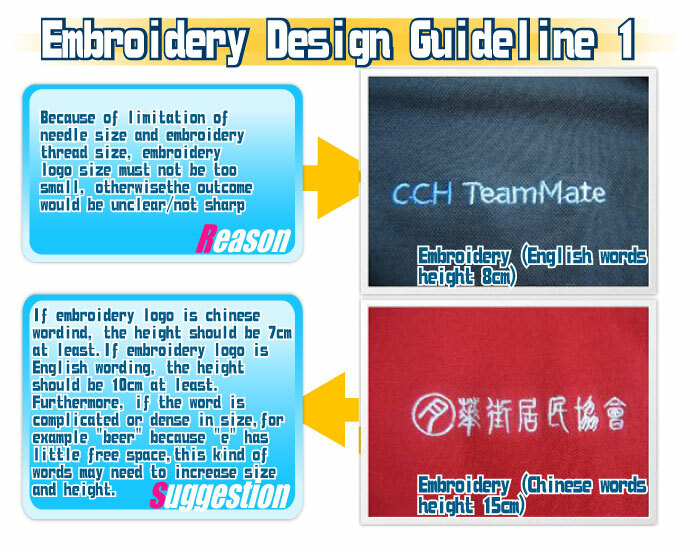 Ø If the logo size is too big, the embroidered area will become think and hard, this maybe less comfortable during wearing. Ø If the logo size is too small, the logo could not clearly exhibited due to the thickness restriction of the needle and the thread. Ø General suggestions are that English letter and Chinese characters have to be at least with height 1cm. For some complicated Chinese characters (e.g. 團體), the height and the width should be adjusted. 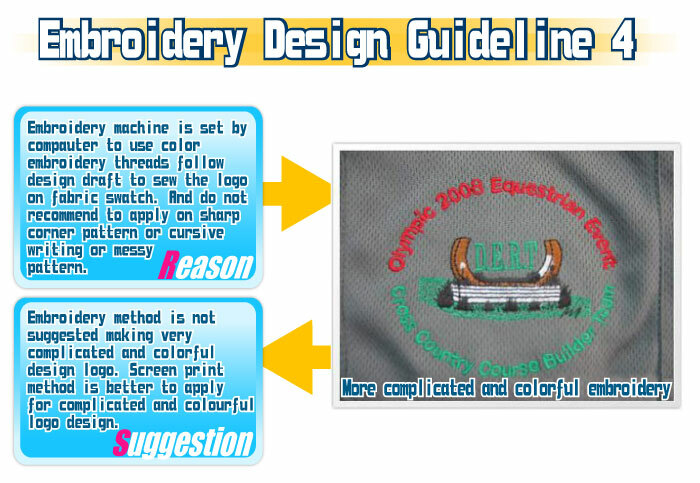 Ø Embroidery is not applicable for some sketchy characters, complicated, multi-colored, large area and scattered patterns. 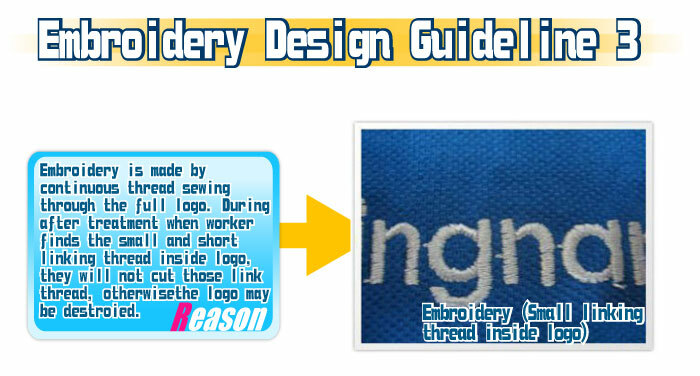 Ø Embroidery is to use the thread to stitch through the whole logo design. In post-treatment, the inter-connecting thread between patters or characters maybe cut out which cause the logo edge to loose out a little, and this is with normal quality. However, such cutting could be avoided. 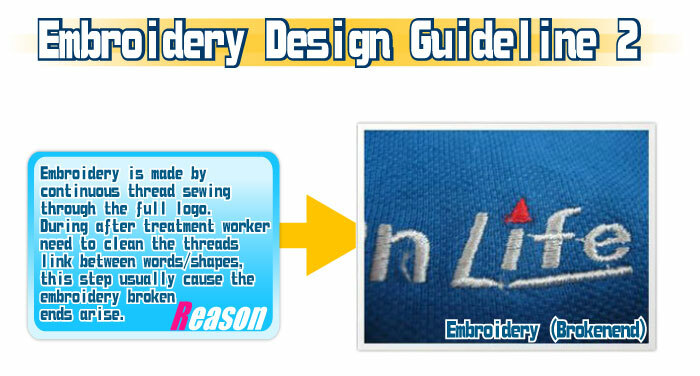 Ø Embroidery means repeated stitches on the fabric, therefore, the peripheral will be tensed and maybe twisted to have some wrinkle effect. 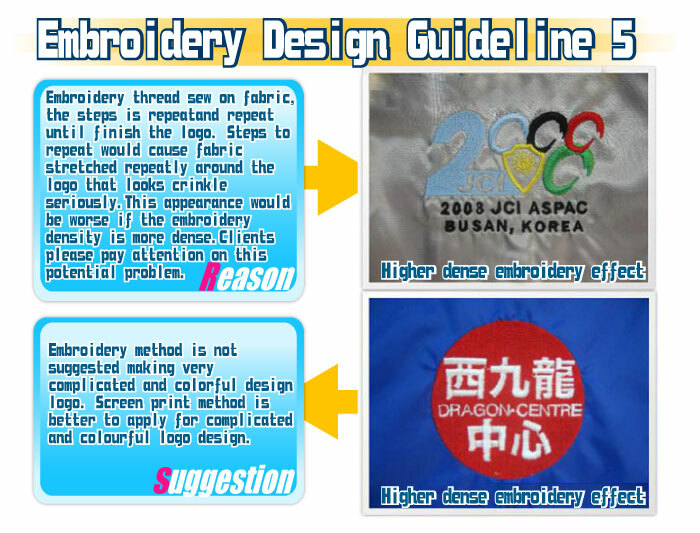 This effect will be more obvious if the embroidery density and area increase. Customers should pay attentions during logo design.